With over 20 years in the emergency plumbing trade, we are more than qualified to deal with all types of plumbing emergencies. We appreciate that some plumbing problems need to be dealt with straight away. That’s where we Trade Local emergency plumbers come to your rescue. 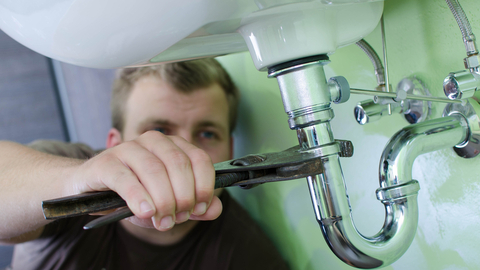 As one of best emergency plumbers UK wide, we are equipped to deal with all plumbing problems – no job to big or small. Our competitive rates and impeccable customer service ensure that you are in the best hands possible, so call us now, to discuss your plumbing emergency; 24 hours a day, 7 days a week, we can be with you within the hour. Are you In Need Of An Plumber in a hurry? Leaking pipes? Boiler not working? Don’t worry Trade Local is here to help you. One call to us and we will have a Gas Safe plumber with you within the hour. Because we are the best emergency plumbers UK Wide it means you can have one of our on-call plumbers with you to help fix all your plumbing emergencies. Unlike other online plumbers, we offer some of the lowest prices on the web. We don’t charge any call out fees no matter the time of day, or type of job. No matter how big or small the problem, call us today and we can arrange for one of our team to come to your property at a time that suits you. Our plumbers are on hand to help get these things fixed in and around your home.